RPSConnectED: Why a Document Camera? 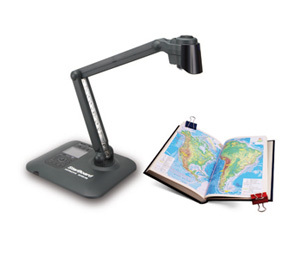 A document camera is a quick and easy way to integrate technology into the classroom. Even someone who is not confident with technology can hook it up to a data projector or computer in minutes. It is useful at ALL grade levels from Pre-K to high school. A document camera is an excellent way to create a setting similar to a small group. Some classrooms have limited space, so it is not always practical to have a meeting corner. 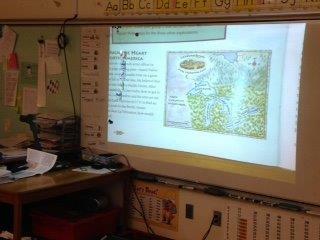 The document camera allows every student in the room to see the text that is being shared. In fact, any picture book or textbook can be turned into a Big Book because of the camera’s magnifying capabilities! It saves time, as nothing needs to be prepared, scanned or loaded. As well it can be relatively inexpensive. A student is sometimes more likely to share their writing on a document camera because the class is focusing on the screen rather than the person. Students tend to be neater because they know their work is going to be seen. 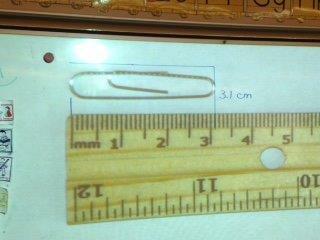 We know there are teachers out there who have been using document cameras. What do you use your document camera for? Copyright Regina Public Schools©. Picture Window theme. Theme images by A330Pilot. Powered by Blogger.